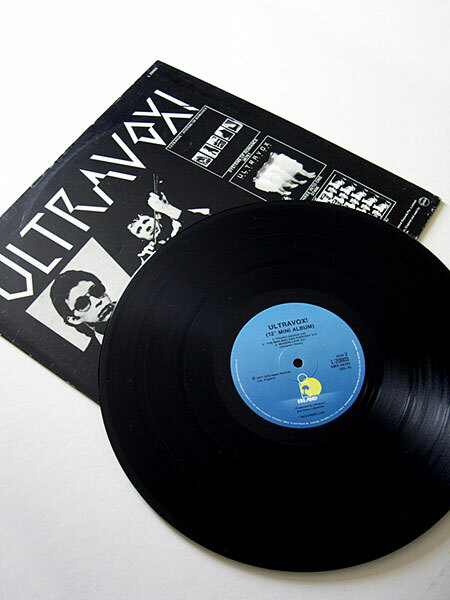 But look closer though and you’ll then notice that only the ‘Ultravox!’ text is included (no Live / Retro text) and there is also a ‘Mini LP’ logo. 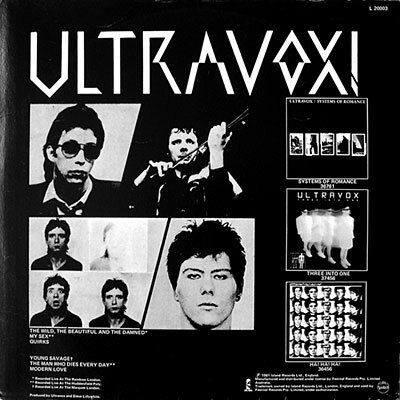 This little number is from 1981, an Australian only release, obviously timed by Island records to capitalise on the success of the ‘Vienna’ period. 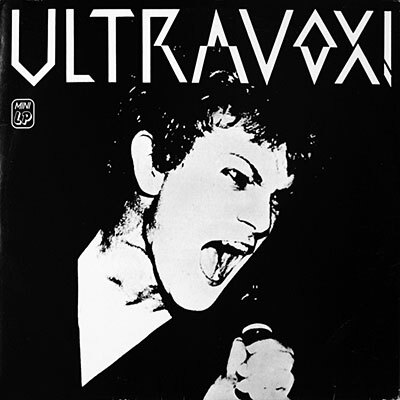 It features the four tracks from the ‘Retro’ EP plus the two tracks form the 7″ single that came free with initial copies of the ‘Ha!-Ha!-Ha!’ vinyl LP in 1977, namely ‘Quirks’ and ‘Modern Love’. 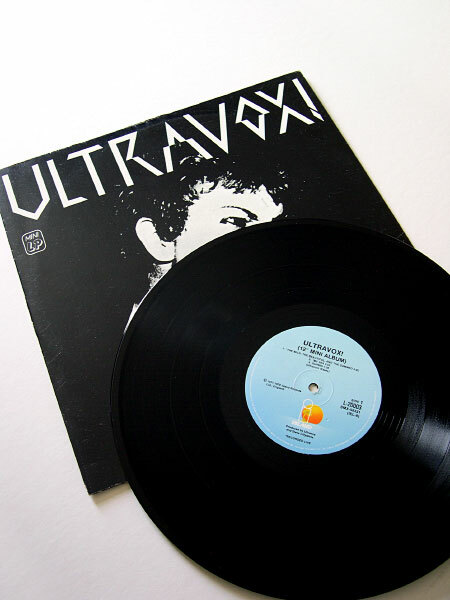 As well as appearing on 12″ vinyl, there was also a cassette edition with the same selection of tracks. This entry was posted on Tuesday, August 25th, 2009 at 8:00 pm	and is filed under Obscurios. You can follow any responses to this entry through the RSS 2.0 feed. You can skip to the end and leave a response. Pinging is currently not allowed. Oh how happy I was to buy this when I thought I’d never get my hands on the original “Quirks” 7″! And until the recent CD remasters, this sounded whole realms better than the 7″ pressings of same. Of course, I got multiple copies of “Quirks,” eventually, making this one the real prize in retrospect (no pun intended). Dear,this Lp I am looking. Where can I get this vinyl,who can hell me with this problem? I came by my copy on eBay – best to keep an eye out there. You could also try discogs.com – a couple for sale there at the moment [http://www.discogs.com/sell/list?master_id=365149&ev=mb] – just depends how badly you need a copy and how much to pay. Good luck with obtaining a copy.